Montreal indie pop outfit Men I Trust just wrapped up a March tour, and the band has just announced they’ll soon be taking their light, dreamy grooves on another North American tour, with many shows opening for Belle and Sebastian. The band will be playing two NYC-area shows this June; the first being an an all-Montreal Northside 2018 show at Brooklyn’s Market Hotel on June 7 with Ought and Common Holly, and then a headlining show at Jersey City’s WFMU Monty Hall on June 8. Tickets for the Northside show are on sale now, while tickets for Monty Hall go on sale Friday (4/13) at 12 PM. All dates are listed below. 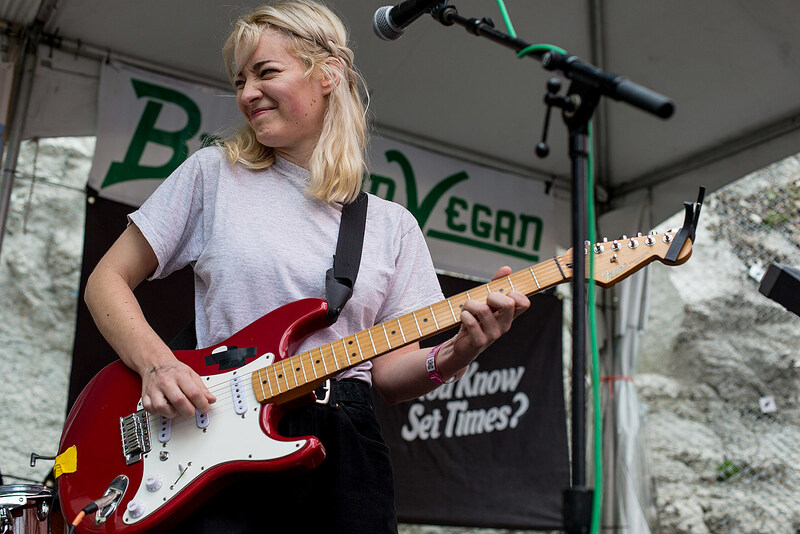 Men I Trust and Common Holly both played BrooklynVegan and Margin Walker’s Lost Weekend 2 day party during at SXSW 2018. Speaking of festival parties, BrooklynVegan also announced our official Northside 2018 showcase with Protomartyr, Deerhoof, and lots more to be announced.